(Las Vegas, Nevada, December 26-30, 2012)When Ben Rood walks through a casino in Las Vegas it isn’t to win money on the Craps Tables but instead at the chess board. 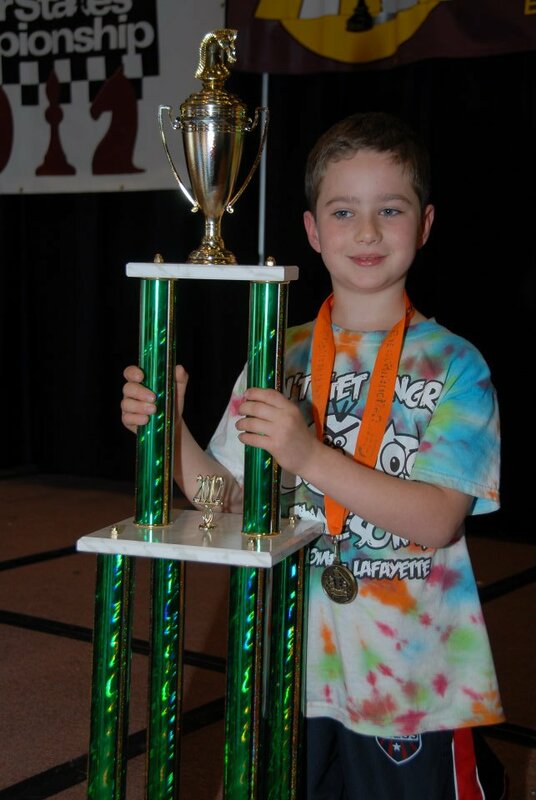 Ben Rood is still too young at age eight to play the games the casino offers but not too young , as it turns out, to win $2000 playing chess in the North American Open at Bally’s. Ben Rood faces off against his friend Kevin Chor in round 4. The 22nd Annual North American Open was held at Bally’s Casino Resort, Las Vegas. Competition was fierce with nearly 100 people in the under 1700 section. 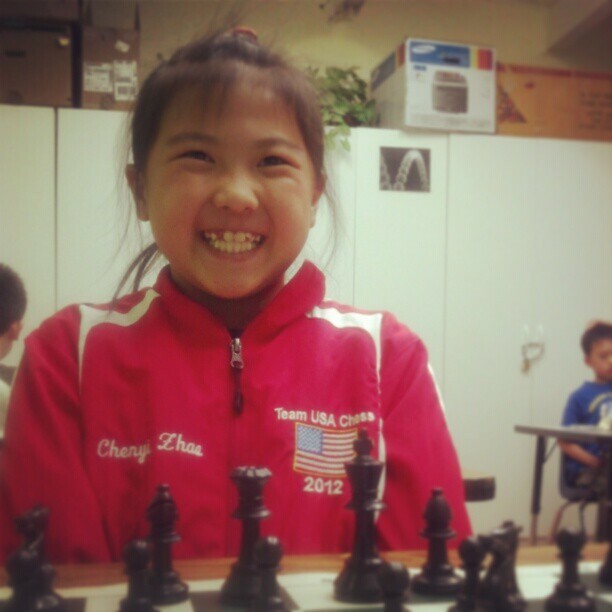 Of those were several recognizable names including former Scholastic National Championship tournament director Richard Peterson, professional chess coach Nephtali Diaz and seven year-old Kevin Chor. 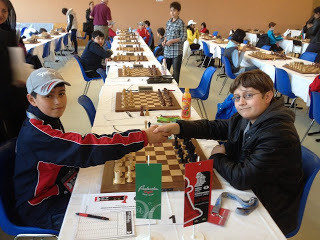 Kevin, who was the only player younger than Ben in the section, ended up finishing in eleventh place which, oddly enough, was the same place he finished at the World Youth Chess Championships a month earlier. In round 4, it was Ben Rood and Kevin Chor who sat on the top board ahead of all the other adult challengers. In a hard fought battle, Ben Rood was able to conduct a winning assault on Kevin’s king and thus vanquished his impressive rival. Later in the tournament, Nephtali Diaz and Richard Peterson were just able to hang on to a draw against the impressively aggressive Ben Rood. 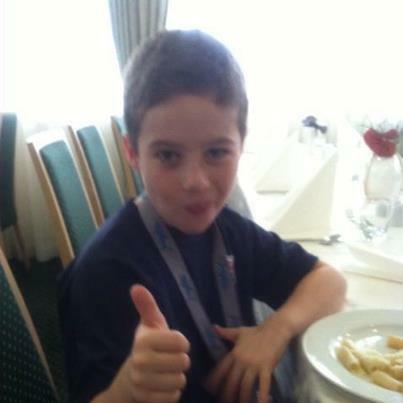 The tournament finished with Ben Rood scoring 6/7 and tying for first with Richard Peterson and Edgardo Miranda. As with most things in his life, Ben Rood already had a plan for what he would buy when he won. Using a small portion of his winnings, Ben purchased a large radio-control helicopter which will be making its maiden flight in Ben’s home town of Walnut Creek, California within days. Richard Peterson, Ben Rood and Edgardo Miranda tied for first place.